Listify features a full widgetized homepage template that allows you to add and order your homepage content however you would like. To create your homepage visit "Pages > Add New". 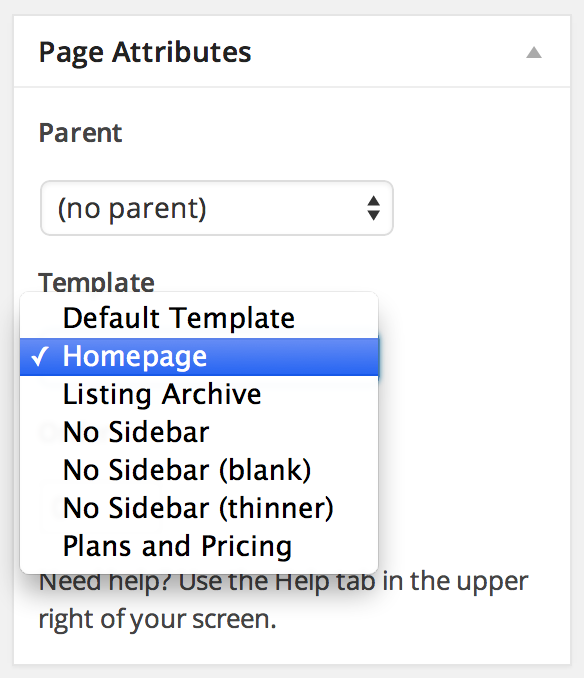 On the right side of your screen assign the "Homepage" template in the "Page Attributes" area. 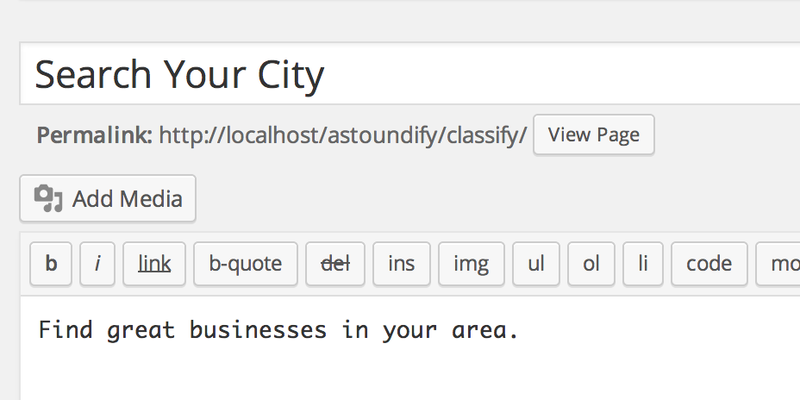 By default WordPress will load your latest blog posts on your website. To set your homepage template as the front page of your website simply visit "Settings > Reading" and choose your newly created page as the "Static Front Page"
The homepage hero title and subtitle are formed from the page title and content. The default style for the "Hero" of the homepage is to use the Featured Image. 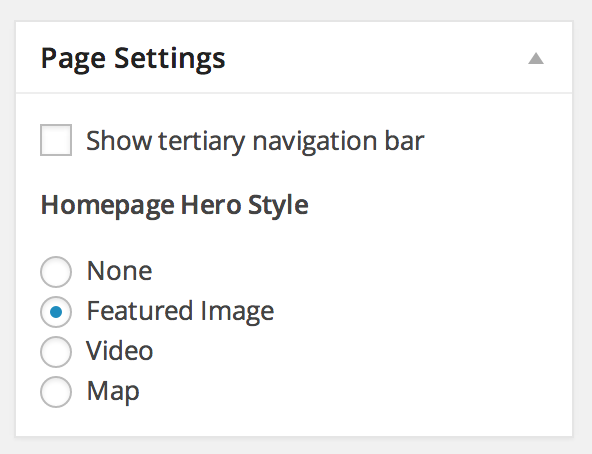 You can modify the behavior in the "Page Settings" area of the homepage. The "Featured Image" setting will use the pages' Featured Image as the background of the hero section. To set the image, just click "Set featured image" in the "Featured Image" box. To use a video background in the hero section simply select "Video". Then click "Add Media" above the page content. Upload your video files and click "Insert into Page". It is best to add multiple sources to your video shortcode. For more information about this, please read more about WordPress' video shortcode functionality. To display a map instead of a video or the featured image simply select the "Map" option. To use neither an image, map, or video, simply select the "None" option.